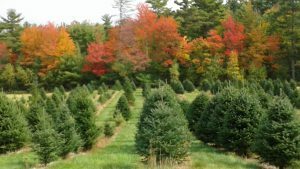 We run a family owned and operated choose and cut Christmas tree farm. We will be open weekends starting starting Fri, Nov. 23, from 10:00-4:00. All trees are $50. We offer balsam and canaan trees. We do have our own wreaths. We will assist you in cutting down your tree and loading it into your vehicle. Free netting and candy canes for the kids!